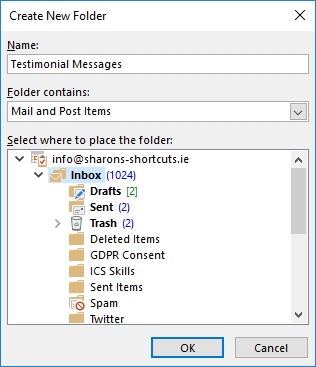 To create your own contacts in Outlook, press Control + Shift + C. Tab through the fields and complete the details. When finished, press Alt + S to save and close. 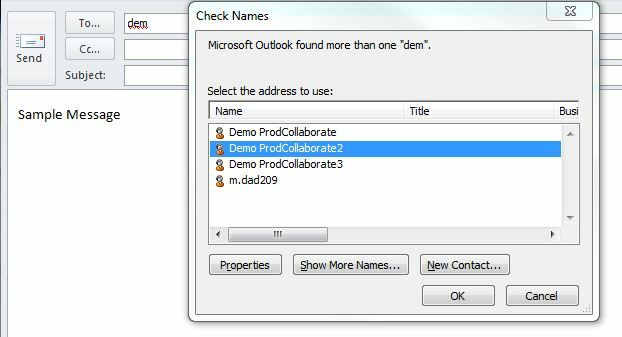 In Outlook: Use Control + K to check names in the To field. 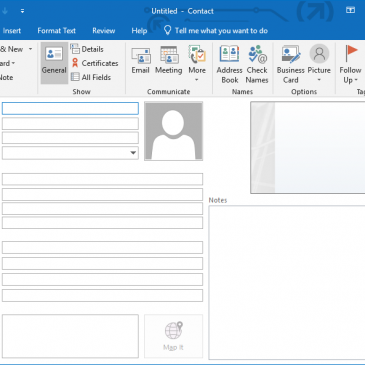 Start entering a name, then press Control + K to find the person’s full email address from your address book. 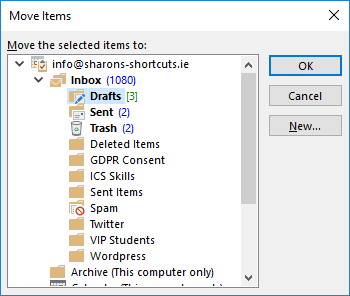 In Outlook, first position on the message you want to move. Then press Control + Shift + V, arrow to the destination folder, and press Enter. 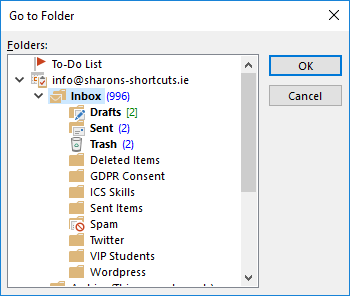 In Outlook, press Control + Y to get to a list of folders and then arrow down to find the folder that you want and press Enter.